Enhance the charm of your cabinetry with the elegant Liberty 2 in. Brushed Satin Pewter French Huit Ring Pull. The pull is boasting a soft pewter finish for a refreshing look. Designed for easy installation. 50mm Overall French Huit Ring Pull Enhance the charm of your cabinetry with the elegant Liberty 2 in. 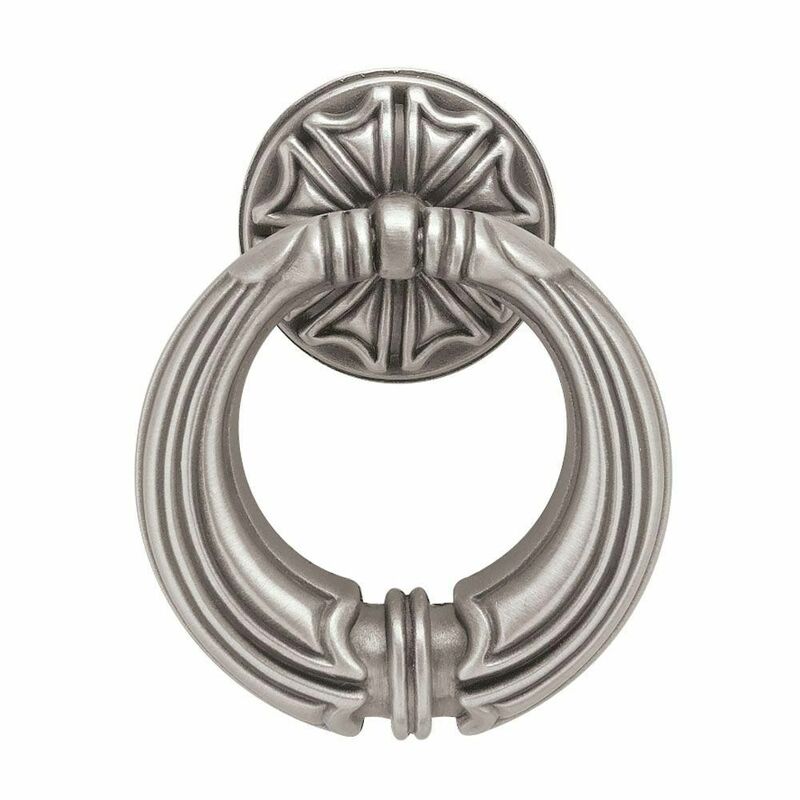 Brushed Satin Pewter French Huit Ring Pull. The pull is boasting a soft pewter finish for a refreshing look. Designed for easy installation. 50mm Overall French Huit Ring Pull is rated 4.2 out of 5 by 11. Rated 4 out of 5 by Hinrichs from Love the looks of the hardware. However, there should be... Love the looks of the hardware. However, there should be a couple of lengths for the screws, these are extremely long. Rated 5 out of 5 by Joy from Love them! They go perfectly with my vanity and give... Love them! They go perfectly with my vanity and give it a finished look. Rated 3 out of 5 by Anonymous from They are hollow on back so didn't like them.... They are hollow on back so didn't like them. Rated 5 out of 5 by HTownMom from Nice, looks great on dresser. I am ordering more for night stands....had to use different screws. Rated 5 out of 5 by Clipper from excellent product Easy to install,sturdy and look very nice on our kitchen cabinet doors. Rated 5 out of 5 by PalVal from Beautiful! Great hardware, even better in person and worth the price. Rated 5 out of 5 by momofthree from Exactly what I ordered This was exactly what I ordered and I am happy with them. They came quickly too. The only problem was the screws were too long for my dresser so I had to replace them with shorter ones. Rated 5 out of 5 by Dap46 from Excellent Product I chose these knobs to update my baby dresser for my daughter's room. They exceeded my expectations.The only drawback for me was the length of the two screws sent. They were both too long, but I think they would be find for most other dressers. My chest is 50 yrs old with thinner drawer fronts.